Accidents happen – in a large percentage of cases, a bumper or side panel gets dented or scratched. 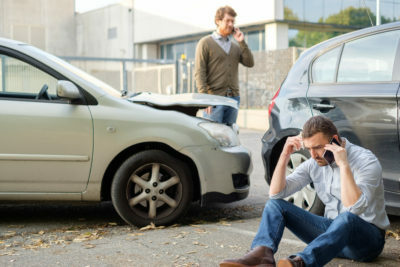 We’ve all heard the term “fender bender” – the fender is the most commonly damaged auto part. While your car may be still relatively drivable afterward, the damage needs to get fixed. Not to mention, you don’t always know how deep the impact went – sensors, computer parts and other crucial components are right underneath. As such, what seems like a bump might actually prevent your backup camera from working properly. Online discussions debate whether you should go through your insurance carrier to repair a fender-bender. Think about this: What appears superficial often goes far below the surface and nearly always worsens with time. It’s better to get it addressed now, than to deal with more serious issues later on. Many of us use the terms “fender” and “bumper” interchangeably. While both parts work together, they perform different functions. Specifically, the fender goes around the outside of your wheels and your bumper, usually connected to the fender, protects the engine and lights. During a collision, the bumper absorbs most of the impact. However, they’re not designed to protect the passengers inside. In a crash, they’re the first point of contact, experience the most damage and are fairly easy to replace. Design wise, the bumper has evolved, going from an easily detached piece of wood or metal bolted to the car to an integrated part that protects components from damage. Costs for fender-bender repairs, frequently involving the bumper and systems underneath – have increased greatly over the past decade. All lights, from your fog lights to your turn signals. As such, bulbs may need to be replaced. Backup, airbag, lane-change and vehicle sensors are usually related to this part. Repairs may involve disconnecting and reconfiguring factory settings, then testing before the car is returned. Modern bumpers have multiple trim pieces that need to be removed before anything underneath is repaired. On some vehicles, the front bumper includes a mounted cold-air intake. In total, it could take up to three hours just to remove all the parts. This does not include the time for repairs, diagnostics and replacements. Although we think of fender benders as minor accidents, the damage can range from minor to severe. As mentioned, what goes on below the surface is not always perfectly clear. On the low end of fender-bender damage, minor scrapes and dings could lightly mar the surface. In many cases, paintless dent repair can deliver the desired results in less time than a full paint job. Slight damage also includes smaller dents – for instance, having another door hit yours or going too quickly around a sharp turn. Gravel and weather-related damage may also fall into this category. Did your car recently bump into a utility pole? Did you slide backward or sideways on a slippery surface, going into a ditch or hitting a guardrail at low speed? The dent created is likely too large and too deep for paintless repair. More extensive work, including repainting the bumper or fender, is often required. Did someone hit your car from behind or back into your parked vehicle? At this stage, the full fender or bumper needs to be replaced and repainted; the damage may further extend to the systems below. When you bring your car in, our team will inspect the exterior damage. From there, we remove all trim to determine how deep the impact went and how it affected your car’s interior systems. This tells us the full extent of the repairs needed. Buff out any minor scratches and paint over deeper ones. Pull out any dents and fill in narrow cracks. If the crack or break is too wide to be filled in, we will reinforce the area before making any repairs. We’ll work the material, until the shape is restored. Replace the part, if the damage is too extensive to restore the bumper to its original state. After all repairs or replacements are done, we’ll apply primer. After it cures, we sand it down to apply paint that matches the shade of your vehicle. From there, we apply a clear coating and buff out any imperfections, for a brand-new look. After a fender-bender, bring your car into DaSilva’s Auto Body for a diagnostics test to assess the damage and determine necessary repairs. To schedule an appointment, give us a call today.